As the weather gets colder, the air gets drier, and so does your skin and lips. Chapped lips are painful and difficult to ignore. Try utilizing some of these tips to help you keep your lips moisturized during the winter months. Sugar Honey Lip Scrub: Honey is a humectant; it helps your skin retain moisture. You can make your own homemade sugar honey lip scrub by combining one teaspoon honey, two teaspoons sugar, and one teaspoon almond oil in a small bowl. Mix the ingredients together until they form a paste. Apply the paste to your lips with your fingertips. Massage the paste into your lips to slough off dry skin cells. Rinse your lips off with warm water when you're finished. Apply lip balm to your lips after rinsing. You can keep any extra paste in a small container to use later. Stay Hydrated: When you drink enough water to stay hydrated, your lips will stay hydrated, too. It is recommended that you drink 64 ounces of water each day. This can be difficult if you don't enjoy plain water, though. Add some flavor by adding some lemon juice to a glass of water. Aloe Vera: Aloe vera's anti-inflammatory and antibacterial agents protect the skin from infection. When applied to the lips, it helps them stay moisturized. Vitamin E: Break open a vitamin E capsule, and extract the oil. Before you go to sleep, apply the vitamin E to your lips using a Q-tip. Vitamin E is a great natural moisturizer for the lips. Beeswax Honey Lip Balm: Beeswax helps seal in the moisturizers in this homemade lip balm. To make the lip balm, combine one tablespoon Shea butter and one teaspoon each of olive oil, honey, and almond oil in a bowl. Add three or four drops of vanilla extract to the mixture. In a separate, microwave safe bowl, heat one teaspoon grated beeswax in the microwave in short spurts until it is nearly melted. Add five white chocolate chips to the beeswax, and microwave until the chocolate chips and beeswax are fully melted. Add the oils to the chocolate and beeswax mix, and stir to combine all ingredients. Transfer the mixture to a clean container to allow it to solidify before using as a lip balm. Humidifier: Try running a humidifier in your room while you sleep at night. It will help your skin and lips stay hydrated. Use Moisturizing Lipstick: Use moisturizing lipstick instead of matte lipstick. If you prefer matte lipstick, apply a lip conditioner before you apply the lip color. 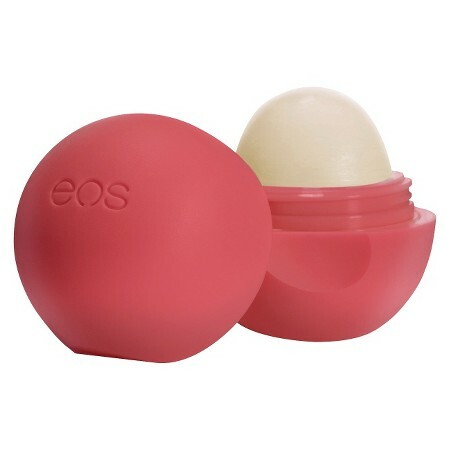 EOS lip balms sound great. Need to try them out.